Saigon By Night Restaurant in Regina has an extensive menu of delicious Thai and Chinese food. We have 36 lunch special options available each weekday from 11-3pm. Start your meal with spring rolls, fresh rolls, or chicken wings. We also have 9 different soups and several rice vermicelli dishes. Our vegetarian options include Green Curry Tofu and Egg Plant Sweet Potato in Coconut just to name a couple. 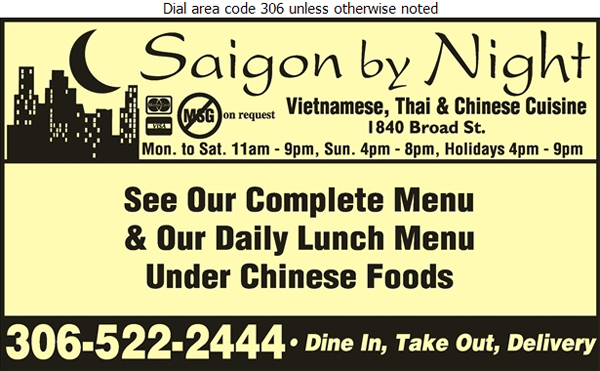 We also offer fried rice, chow and low mein, chicken and beef dishes, pork, and seafood. The delicious food continues with spicy fried shrimp, squid, and scallops or sizzling hot plates. 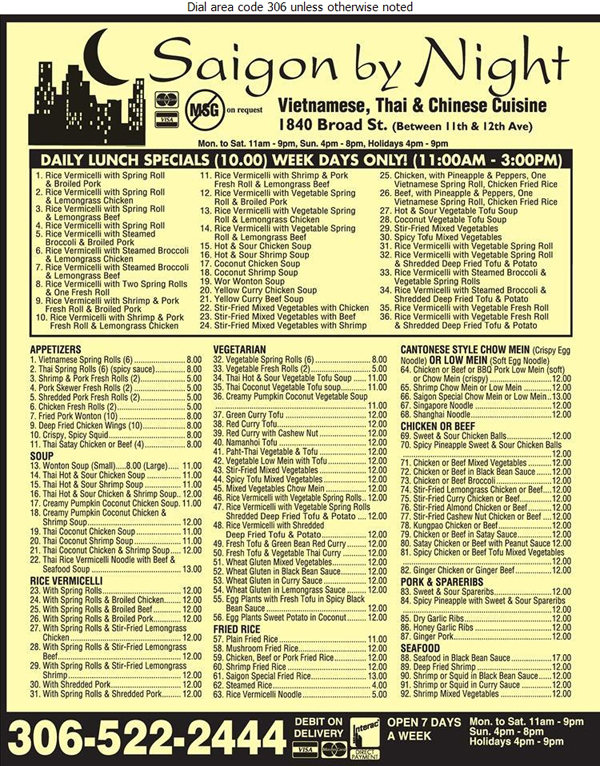 There are also Vietnamese combos, Thai chef spicy dinners, and combination dinners for one to 10 people. With so many options, you’ll never run out of new things to try. 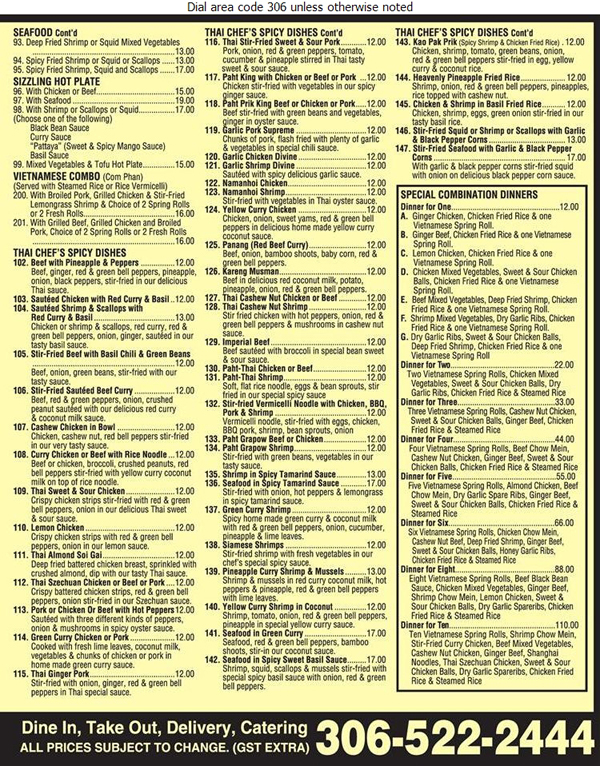 Check out the full menu below.